The adventure begins. 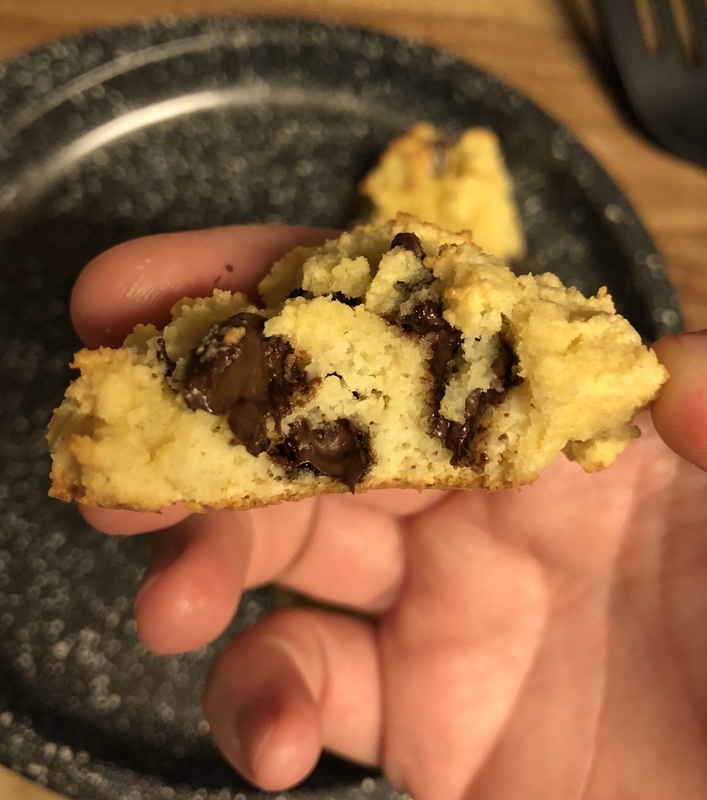 I made up a recipe for almond flour cookies. They were pretty good, but I won’t be posting a recipe yet because it still needs tweaking. They satisfied a craving for cookies though, so that was nice! Three home births, one of them being an (unplanned) unassisted home birth. Our wonderfully, crazy life. God is so good to me. I’ve had health issues my entire life, many of which I’ve mentioned here over the years. 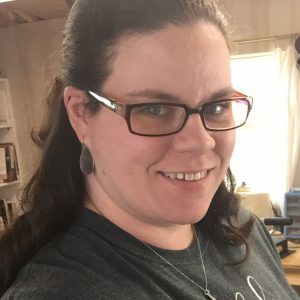 To keep it short and simple, things have gotten so bad since my last two births that my doctors have decided a hysterectomy is the best option to solve everything. I’ve had test after test, tried many medications, and ended up needing a D&C last December. Nothing worked. I’ve dealt with it for twelve years, and sometimes I wonder if that’s how the woman with the issue of blood felt in Matthew 9. I’ve even had four separate GYN tell me that a hysterectomy is the best course of action. It’s time. In October, I’ll take the next step, and I’ll go in for a hysterectomy. I can’t wait for the relief. Then, on to the next chapter. My sister in law took the picture on the right about a week ago when we were up in Michigan. I couldn’t believe the difference when I put the two pictures side by side. 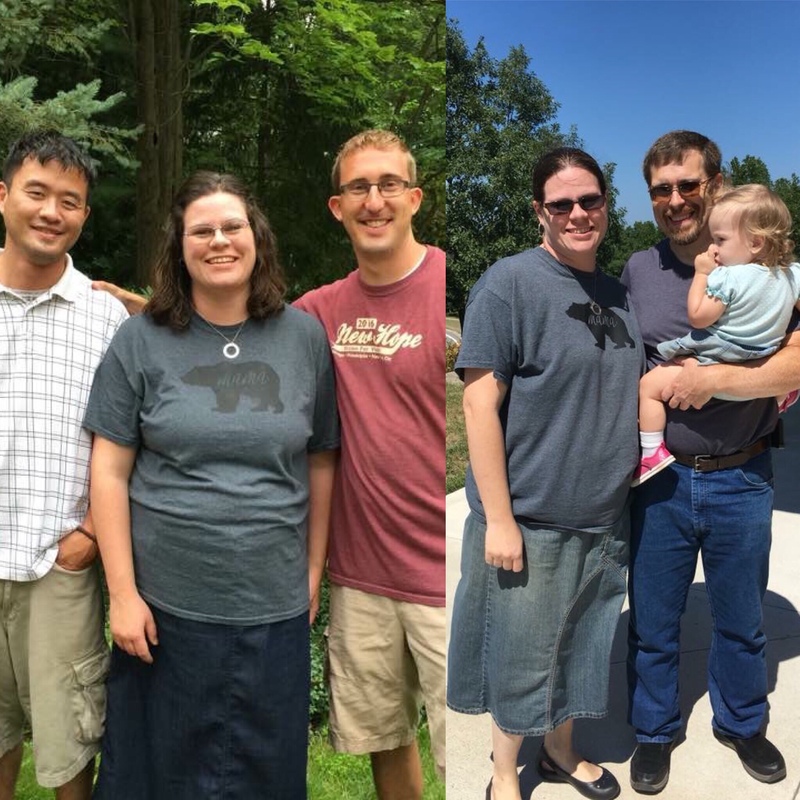 They were taken a year apart, and that’s the same shirt. It surprised me how loose the tee is on me now. What makes me the happiest is I don’t look pregnant all the time any more. After five pregnancies, I don’t expect my body to be the same as it was before kids, but always looking pregnant did bother me. 27 pounds down. I’m not done yet, but seeing progress is so encouraging! Sunday – Luke’s birthday! He requested Papa John’s pizza for supper, so we’ll order that after church. I only plan the main dish and one side for each meal. We add additional veggies for each meal based on whatever is in the house at the time. Our local Aldi is hit and miss on what veggies they have in stock at all times, so it’s easier to just stock up on what they do have and fit that in around the planned meals for the week. Hubby and I are also following the Keto style of eating. We take each meal and “keto it” for ourselves. For example, Monday’s salmon patties will be made with almond flour, and we won’t eat the baked beans. We’ll eat Tuesday’s eggs without the tortillas, and the BLT’s we’ll make with leaf lettuce instead of bread. Lunches and breakfasts we also don’t plan specifically. We have a pre-planned rotating menu on the fridge that we follow every week. 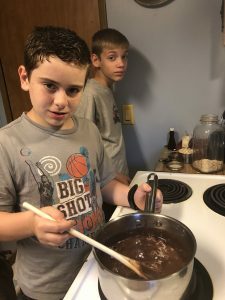 The boys asked tonight if they could make no bake cookies. This is the face I got from them when I asked to take a picture. We used a recipe I had in my binder from a project I did in junior high. I don’t remember having any trouble with it before, but they sure didn’t turn out tonight. Oh well, at least there’s Pinterest and Allrecipes to find a better one for next time. These were dry and crumbly. The kids liked them anyway, but we’ll definitely look elsewhere next time around. Well, our trip to Goldsboro last weekend was most definitely eventful. After our church’s youth meeting on Saturday, we headed across the state of NC to Goldsboro, where Stephen was preaching all three services on Sunday. We made it about halfway there before we had a flat tire. 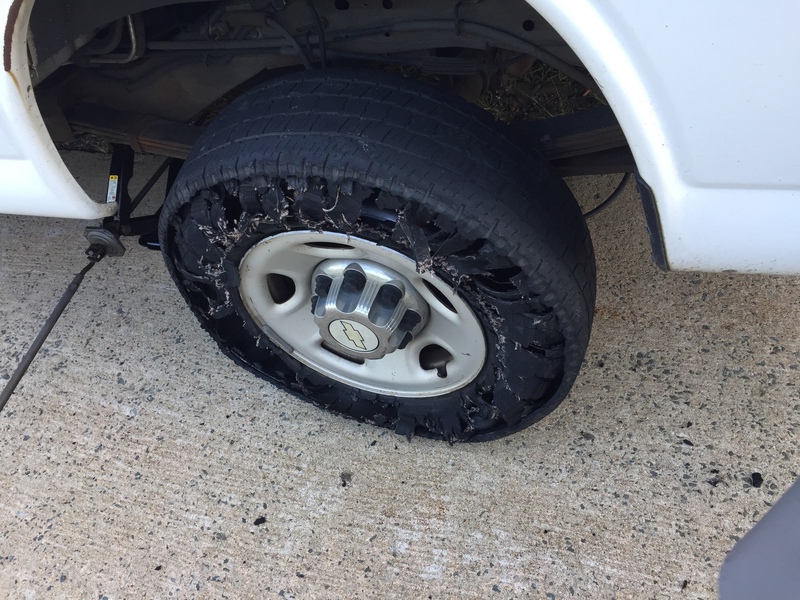 That was the quickest AAA call we’ve ever had – from the time I called to the time the truck pulled up behind our van, it was 30 minutes. 20 minutes after that and we were back on the road…..in less than an hour and all. I’m so thankful we have AAA, and even more thankful we were all safe. We finally arrived to the host family’s house about 9:00. They had made supper for us, and WOW did they ever make a lot! We all stayed up late chatting, while the kids ran some of their energy out. It was so wonderful to meet this family face-to-face. Sunday morning started off bright and early. Stephen and the older boys went with the men early to church, and the kids and I followed later with the lady of the house. After the morning service, the church had a fellowship dinner. I couldn’t believe how much food there was! Then a bit after dinner, they had the afternoon service. I just love hearing my husband preach. We left after that to head back home. It was a long day, but a good one, filled with getting to know new people and forming friendships. What a difference a year makes. 20 pounds gone. June 2017 on the left. June 2018 on the right. I started watching what I ate by reducing calories. It doesn’t work overly well for me, as I can’t eat more than about 1200 calories a day if I want to lose, and that very slowly. Thank you PCOS. I started keto April 3rd. I lost four pounds the first week, and then discovered fat bombs. I plateaued for about a month at that point – I didn’t realize my snacks were sabotaging my efforts. Once I realized that, and cut the snacking back out, I started losing at a good rate again. I’ve lost 14 pounds since April. 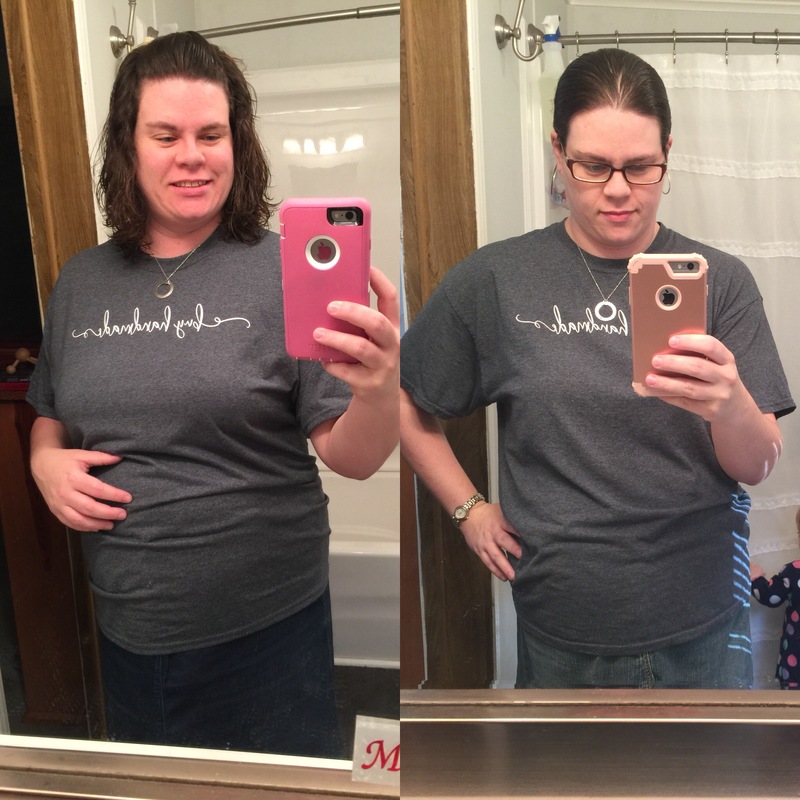 This week I hit two milestones – my first personal goal number, and the 20 pound mark. What’s fun is I’m only 4 pounds away from the number I wanted to hit by my birthday…..which is still 6 weeks away! I’m really excited to see what number I’ll be then. 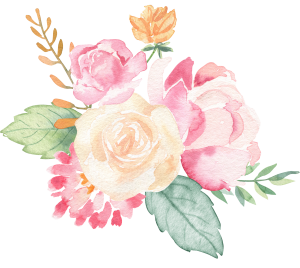 So after a year’s break from blogging, here I am again. Our old host’s server crashed. I downloaded a database backup and hope to have them uploaded here too. 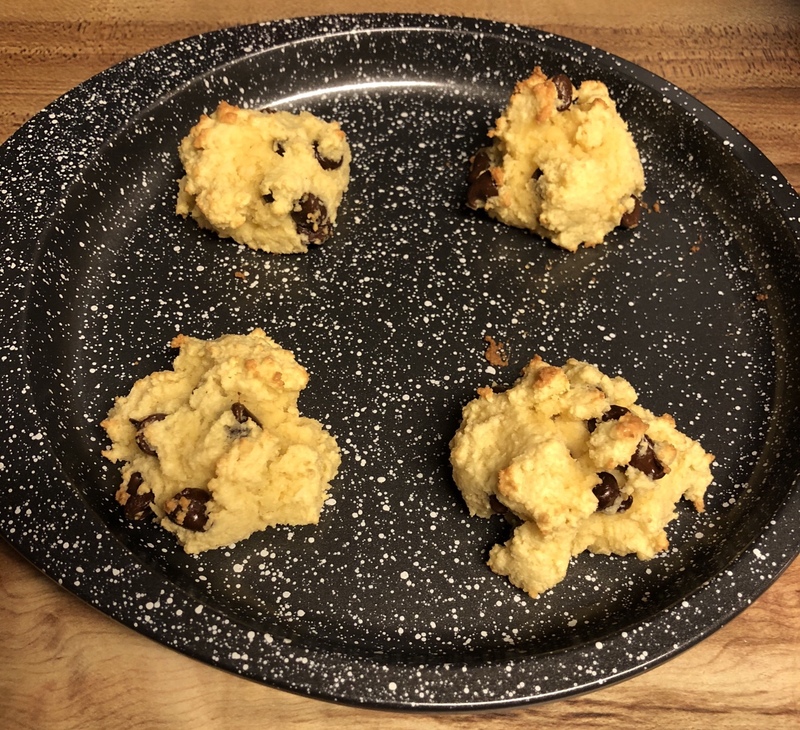 I decided to start blogging again so I have a place to document my adventures in low carb, gluten free cooking. I went keto to try to lose some weight, and discovered I feel amazing now that gluten is out of my diet. I’ve tried some gluten free foods and honestly wasn’t impressed. They were edible but not great. We already cook most foods from scratch (hubby can’t have MSG and that is in everything, it seems like). This will be where I take notes on what recipes I’ve tried, and how they taste and compare to the foods I’m accustomed to.